The county of Cornwall in the United Kingdom is home once again to a single malt whiskey, the first produced in the southern precinct in over 300 years. 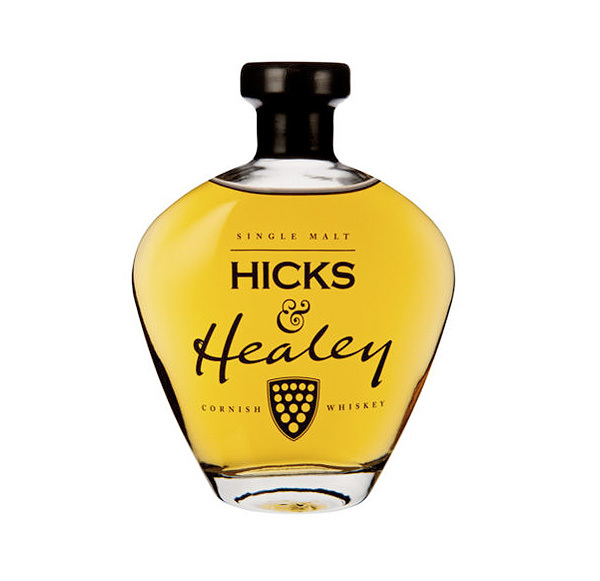 Through a collaboration with St. Austell Brewery and Healey’s Cyder Farm, the two Cornwall brands have introduced the limited edition Hicks & Healey Cornishsingle malt 7-year-old Whiskey. In producing the new spirit, the makers formed the squash of Maris Otter barley grown in Trerulefoot in South East Cornwall and used local spring water to create the single malt at their Victorian brew-house before shipping it to Healey’s farm where it was sent through a dual distillation process in a customary Scottish-made copper pot. Finally, the whiskey was dispensed into American bourbon charred casks where it rested for seven long years to develop its distinct taste. According to tasters, it has notes of spice, honey and barley combined with delicate fruits and hints of cocoa and caramel before a late vanilla finish. Packaged in a fine wood box, the powerful half-litre (50cl) bottle rates at 61.3% alcohol and will sell for about $230 (£150).